This week was always going to be a pain. Phew. A short story to write urgently. A book I’m really enjoying writing (modern -day, quite gritty but fun). Then last week I received a copy edit for the next Hundred Years War book, BLOOD ON THE SAND – and that’s going to be a good one – as well as having to prepare the ground for POITIERS (working title) which has to be submitted for middle June. But at the same time there are blogs to write, an interview to finish for the Kara Piazza site (link will be added next week), marketing for speaking engagements, helping organise the AsparaWriting Festival, and all the other things that keep my desk clear (if you can hear maniacal laughter now, you can guess why!). Yes, I have more than enough to be getting on with just now. Work. It’s a joy for much of the time. I love writing. I really enjoy the process, especially when I can sit down with a fountain pen and cover pages of paper with my scribbles. I adore the moments with a large block of paper when I put in “X is dead: how, why, where and by whom?” right in the middle and start branching ideas away from there to individuals and motives. I adore sitting down with a sheet of plain paper and making the outlines of the main protagonists until I have their features set out. I adore sitting at my desk and firing up Scrivener with the first scene headings and preparing to write. But every time I want to write, silly little niggling things get in the way. It was ten years ago that I was accosted while walking from a folk concert in Okehampton. Mike Palmer, whom I knew vaguely as a brilliant melodeonist, asked me what I was doing there. Mike has always been a shrewd man. He used to be a bank manager, but I don’t hold that against him. 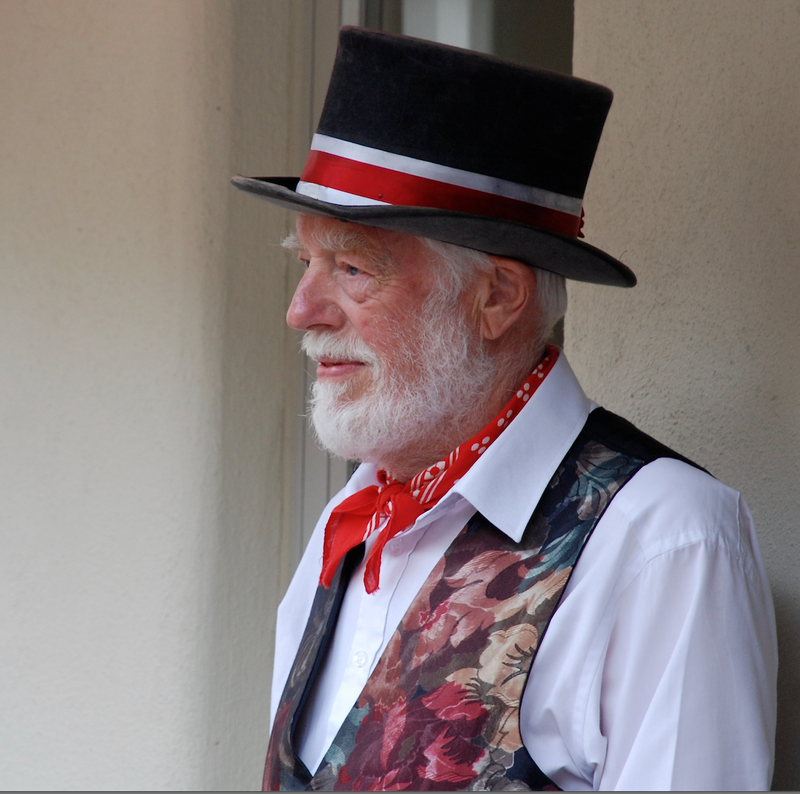 More importantly, all his life he has been a keen supporter of folk music and Morris dancing. ‘What are you doing Sunday?’ he asked. ‘Um,’ I think I answered. Now, I’d no idea what it involved, but I did know that Morris dancers tend to look happy because they spend lots of time in bars and pubs. That appealed to me. Also, naturally, I’m a rebel who is always on the lookout for a new way to prove I’m weird. 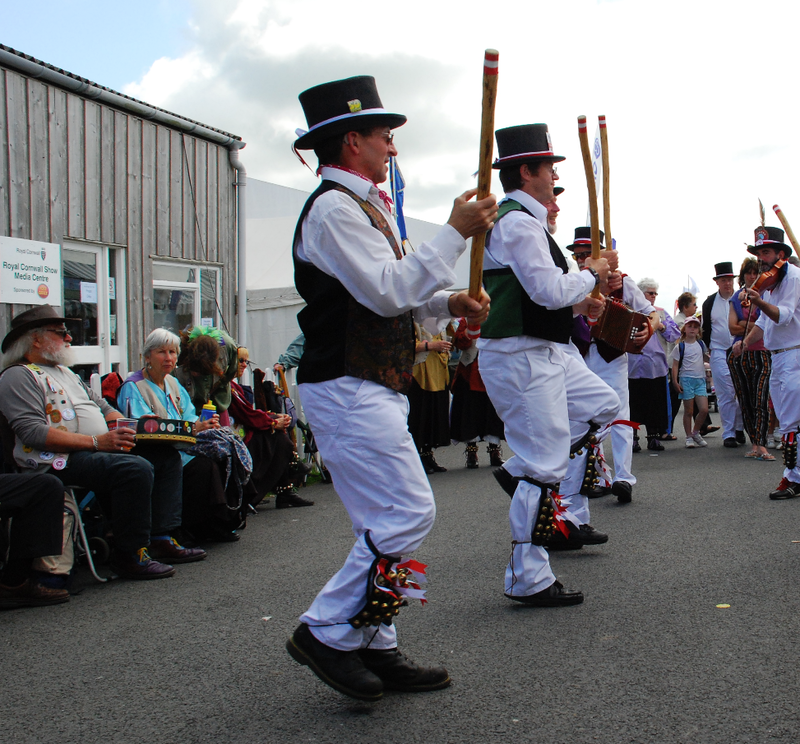 So Morris dancing was ideal. Early on, it was clear that Mike was not the sole driving force behind what would soon become “Tinner’s Morris”. His wife, Shelagh, was every bit as enthusiastic. 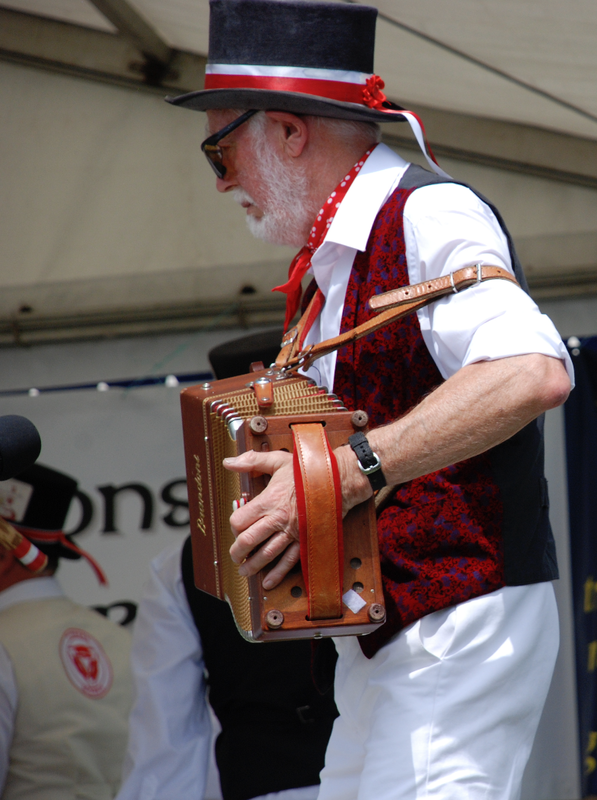 She had already created the “Doris Dancers” – a troupe of female Morris dancers, but although she was Squire to the ladies, she was very happy to come and teach me and my gormless mates how to put one foot in front of the other to music. While also moving hands and hankies (well, iron bars and sticks, really). She had the patience of a saint. Shelagh supported us, helped direct us, and was always enthusiastically ready to correct us (and Mike) when she felt it was suitable, when she felt it was amusing, or whenever she thought we deserved it! So what has she got to do with things? Well, that’s why this week is going to be hard. Yesterday, after a six month battle with cancer, Shelagh finally succumbed. She leaves children, grandchildren, and a devoted husband. 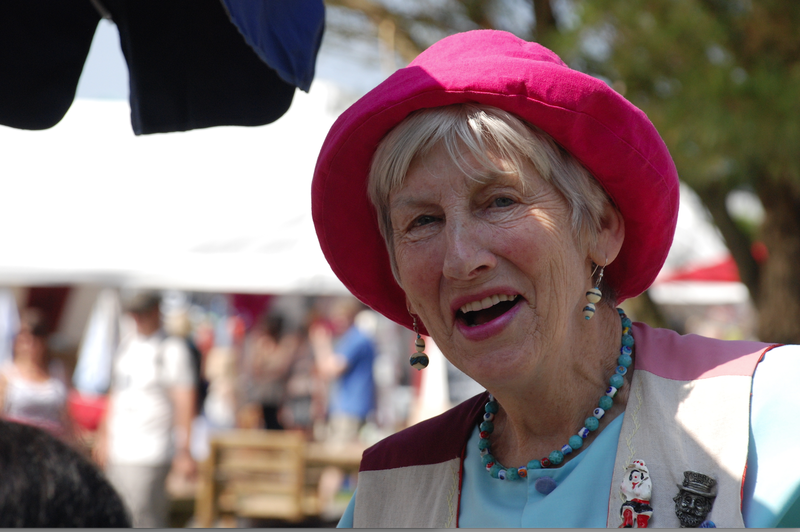 She also leaves behind many friends in Tinner’s Morris, in Cogs and Wheels Morris, in the Dartmoor Folk Festival, and in all the other clubs and pubs where traditional English music is played and sung. She will be hugely missed by all who knew her. So tomorrow I’m not going to write. I’m going to be forgetting work for the day. And it’s not for a niggling thing, it’s because I will spend my time remembering a special lady, how she helped Tinner’s and me, how she helped Mike forge an effective Morris side. But I will not remember her with huge amounts of sadness and tears. I miss her, it’s true, but the main thing about Shelagh was her unbounded zest for life and her enjoyment of it. She would not have wanted us to cry and wail. In preference she’d want us to sing and be cheerful. So I’m going to remember the good times, up to and including my last hug from her. Bye, Shelagh. Keep on dancing. So sorry, Mike…she sounds like an amazing lady. Many happy memories. Thanks, Carole. Appreciate the comment. Ah, that’s sad news indeed. I remember both Mike and Shelagh well from my days as Chagford’s resident storyteller and puppeteer. They were always hugely supportive of my work and gave their not inconsiderable talents and enthusiasm to many community theatre projects that I ran back in the day. Shelagh’s death is a terrible loss to us all – but she touched many of our lives and she leaves wonderful gifts in memory. Hi, Austin. I certainly will. She was such a wonderful woman. Terrible times for Mike, but luckily he has the support of lots of friends. Cheers! Sorry for the loss of your friend. Judging by the photo, she looks like a person I would have wanted to get to know if I had met her, good company and someone who enjoyed life. Thanks for that, JEH. She was a lovely lady and will be sorely missed. Appreciate your comments. As long as your friend is remembered she won’t ever be gone. I’m sure she and Mike will have appreciated your lovely tribute to her. Have only just read all the aforementioned comments and tributes. Thank you so much.It helps immensely to know I have your love and support at this difficult time. Mike, it was all heartfelt. What are you doing over Easter? Would you like to come for a bite of something?